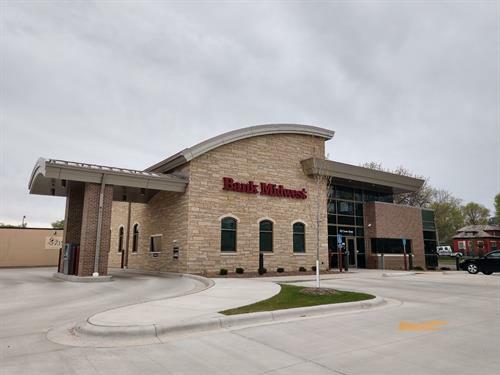 Personalized banking and excellent customer service are priorities at Bank Midwest. Open an account today and experience the satisfaction of banking with people who care about your financial needs. Our lobby also offers a coffee bar and internet café for your enjoyment as well as free popcorn on Fridays! Let us help your business succeed with our variety of business accounts and cash management services. With our Online Cash Management, you'll gain immediate access to your business account information 24 hours a day, 7 days a week, to help you manage your company's cash positions and optimize cash flow. It's secure and convenient. Whether you are purchasing your home or car let Bank Midwest help you with all your lending needs. We offer competitive rates and have experienced lenders on hand to answer any questions. Protection gives everyone peace of mind. From people to property to farms and businesses. Ask about meeting with a Bank Midwest insurance professional today! Managing assets, building wealth, planning for the future. When managing your investments in today's financial environment, it really makes sense to work with people you trust. We are located on the corner of Center and Broadway.